Solving The Technical Problem (Not available in your country): Today, I stumbled upon a video whose title was “Blind Learn To See With Tongue“. It was uploaded on YouTube by CBS – an American TV network. 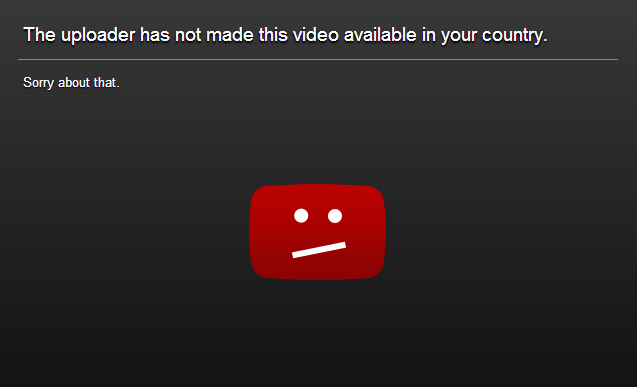 The sad part is that they had tweaked the videos settings which did not allow me to watch it. It wasn’t available in India. Since it is clear that seeing is the ability of the brain, not eyes, we can comfortably move on to see how you could even see with your tongue – Tasting the light. A device called BrainPort can help you do that. The contraption consists of a camera that sits on your forehead and sends information to a small computer. The information is processed, converted into electrical pulses, and then sent to an array of electrodes touching your tongue. The brain processes these signals and converts them into an image. At first, of course the brain doesn’t know the trick to process visual signal from the tongue, but it learns. Gradually the device becomes a part of your body and you start seeing with your tongue! Just like Neil Harbisson can listen to colour. In fact, he can see more colours than our eyes can see because the technology allows him. He can see infrared and ultraviolet too!